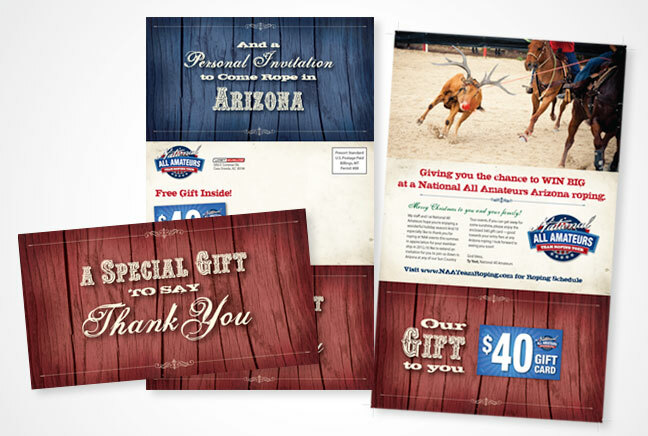 The holiday mailer for the National All Amateurs Team Roping Tour included a special $40 gift card! We digitally created a steer that looked like a reindeer to add a humorous, yet masculine and festive touch. 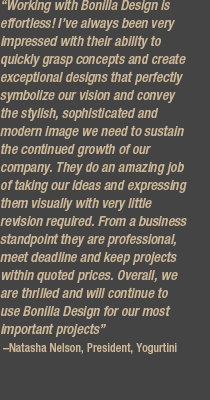 I have enjoyed working with Bonilla Design the past three years. Nicole and Gabe have an excellent grasp on creating clean, eye-grabbing, effective designs that appeal to my western clientele. In addition to having extremely creative minds they are also wonderful people to work with.